As the year 2015 come to an end now, we have sorted out top 10 poker developments that happened this year in poker world. 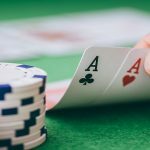 These developments are very important for poker player and entertainers. 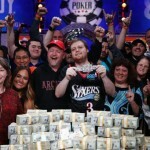 Joe Mckeehen of Philadelphia wins the most prestigious poker tournaments in the world that is WSOP 2015. This was the 46th WSOP championship played at Rio All-Suite Hotel and Casino in Las Vegas. Mckeehen won the championship title and earned a whooping cash prize of $7.68 million. This gives a total earning for Joe is more than $10 Million. 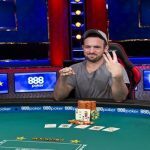 Byran Kaverman topped the list of global poker index and booked for first place in the list with having 4,736.73 points. The top 5 players are as Anthony Zinno of USA has (4,649.84). Phil Hellmuth is one of the best professional poker players in the history. He has won many games and titles including WSOP, WPT, EPT and many prestigious championships. Hellmuth wins his 14th Gold Bracelet playing at World Series of poker 2015. The event was $10,000 buy in Razz, to which Phil did a superb job and collected the first prize as well as $271,105 of cash. Hellmuth defeated another poker pro Mr. Mike Gorodinsky in the event. The total earning for Phil is now crossed to $19.5 Million which is simply Hugh. 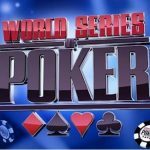 WSOP announced that two top players John Juanda of Indonesia and Jennifer Harman of will be listed to their poker hall of fame. The due Juanda and Harman will be listed on 49th and 50th place in Poker Hall of Fame. 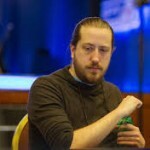 John is an awesome player and has won more than 30 titles in which 5 are of WSOP. The total earning for John till date is more than $18.5 Million. Meanwhile the total earning for Jen Harman is more than $2.5 Million. 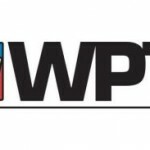 WPT announced that it is acquired by ourgame international. Ourgame international is a Hong Kong based organization deals in online card and board game development. The deal was of $35 million. It is one of the fastest growing gaming companies which have more than 500 million users of its own. Amaya, a Canadian gaming company enters in New Jersey. 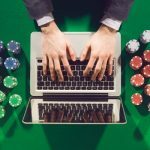 The NJ Gaming regulators and authority approved their long awaited real money online poker operation in the state. This was an important announcement made by NJ gaming regulators. 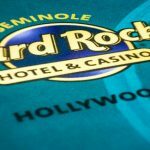 It was simply awesome for online poker players in the state. It is a positive sign and we hope that as many online poker sites will join the race in 2016. It is also expected that many of other US states can allow online poker in their region as well. PayPal is being accepted by legal online poker sites in the United States almost after a decade. The company was doing very well in other part of the world but it was not operating in USA since 2003. This is one of the best largest payment methods in the world. It means if you live in United States of America and want to play online poker then you can simply use PayPal for all your payment means i.e. to Deposit or to withdraw. 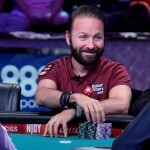 Due to his consistence performance and winning amount of money Daniel Negreanu is named for Global Poker index player of the decade. The total amount earned by the US pro Negreanu is more than $30 million. He has won plenty of titles including WSOP Gold Bracelet in Vegas, Europe and Australia. He finishes 11th place this year for World Series of poker 2015. He is one of the most successful poker players in the world these days. 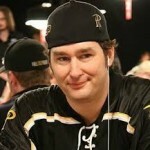 A 14 times WSOP gold bracelet winner Hellmuth joined twitch.tv for live poker streaming. His first streaming was about Pineapple. It is a skill based and poker like game. Twitch.tv is a live streaming video owned by Twitch Interactive. We all know that phil has a great fan base and is very popular, hence it is expected that the popularity of twitch will grow for sure. Steve O ’Dwyer, an Irish poker player won the EPT Season#12 played in Prague 2015. 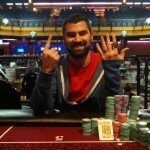 The event was for €50k buy in super high roller to which Steve topped the field of 56. The winning amount of Steve to this prestigious was €746,543 or $816,666. After playing 156 hands Steve O’Dwyer becomes the title winner and took home a massive amount of money of the tournament. 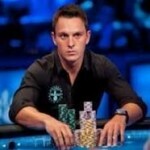 He defeated a pro of Canada Sam Greenwood who earned €643,607.